The Gear Junkie is in California this week preparing for REI Adventures’ Sequoia Winter Mountaineering Clinic, the three-day adventure picked by Matt Eder, winner of The Gear Junkie’s Choose-Your-Adventure Sweepstakes. This weekend, starting Thursday night the 19th, Eder and a friend, Heather Gough, both from Portland, Ore., will join me, REI Adventures guide David Cressman, and two REI corporate adventurers, Courtney Coe and Tim Loftus, for a weekend of winter camping, backcountry snowshoeing, and mountaineering in the Sierra Nevada Mountains of Sequoia National Park. 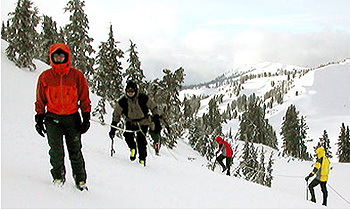 The Sequoia Winter Mountaineering Clinic, which is offered by REI Adventures throughout the winter each year, combines a serious three-day adventure with onsite instruction on snow camping, mountaineering, and winter backcountry travel skills. 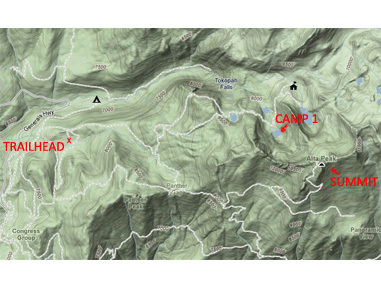 Navigation and route-finding, medicine for mountaineering, ice ax self-arrest, crampon use, and basic rope team travel are additional highlighted items on the syllabus for the trip. Eder and Gough won a head-to-toe gear outfitting of essential equipment from REI. This weekend we’ll test tents, outerwear, pads, sleeping bags, and other gear from REI, as well as products from Adventure Medical Kits, Bear Naked Trail Mix, and Wigwam socks. 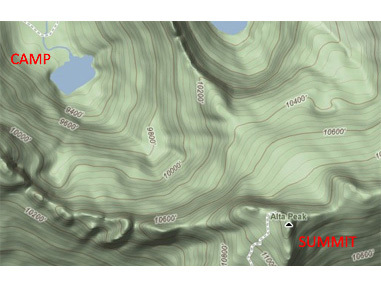 I’ll report on how the equipment held up during the mountaineering clinic and on summit day, where we’ll snowshoe to our main objective for the weekend, the 11,204-foot Alta Peak. 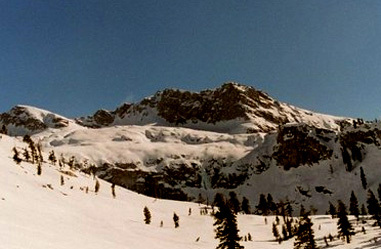 Before the challenge on Alta Peak, the group will snowshoe in from Sequoia National Park’s Wolverton Trailhead and establish a base camp at Emerald Lake at 9,100 feet. (See maps below.) We will head out on day adventures to learn winter camping, avalanche awareness, and mountaineering skills. Guide David Cressman will lead instruction, and I’ll jump in when and where I can be useful. I’ve promised a map-and-compass clinic already to show off my nerdiness and enthusiasm for all things cartographical (starting here below). Watch the Daily Dose blog here for trip reports early next week — including photos from the after party, sponsored by LazyMan, where we’ll celebrate the weekend’s accomplishments on Sunday night. Plus, we’ll post photos from the trip, gear reviews, and other features from the adventure this weekend in Sequoia National Park.